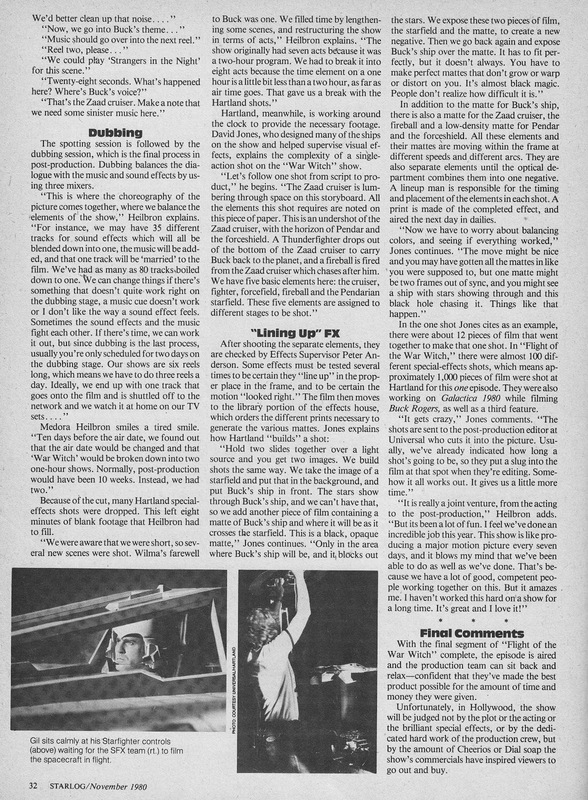 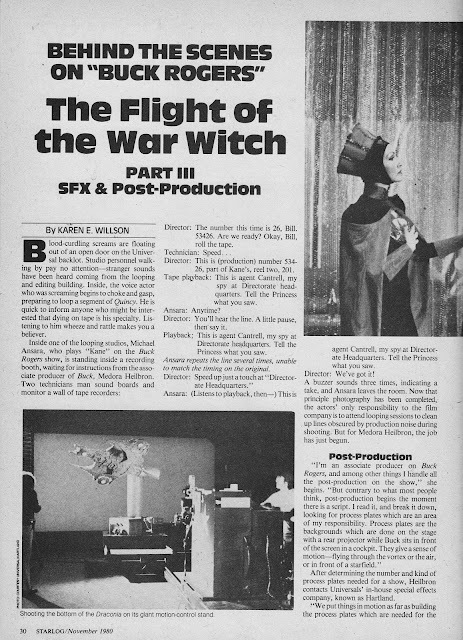 Here's the final part of Starlog's epic three-part article on the making of the final first season BUCK ROGERS IN THE 25th CENTURY episode, the feature-length Flight of the War Witch. 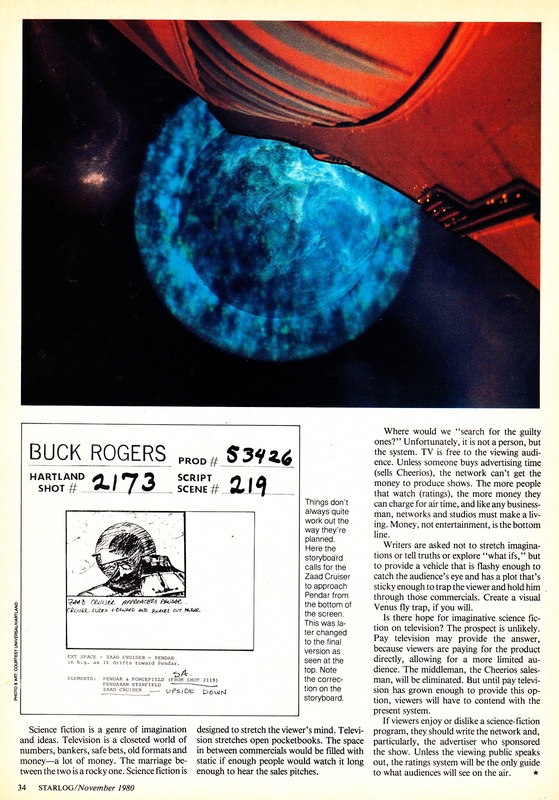 Thanks so much for posting all these Buck Rogers scans - great fun to read those again after all these years (Decades - eeek!). 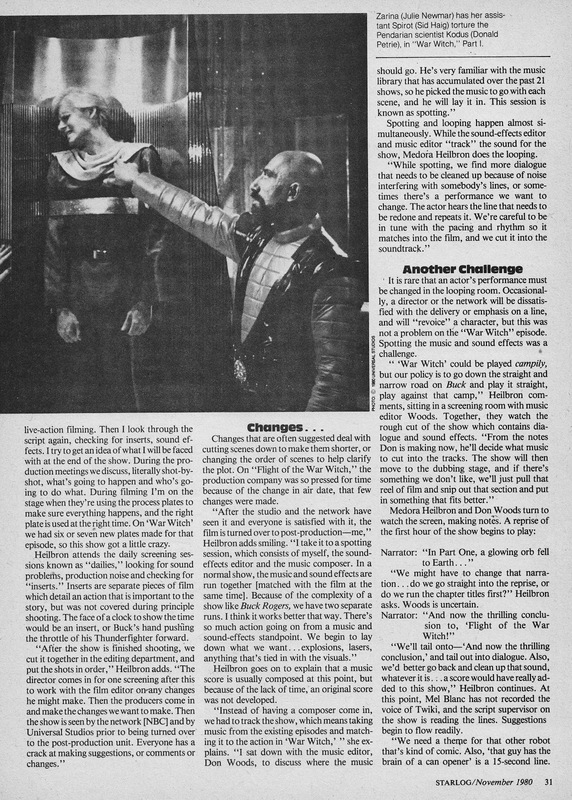 I don't suppose you have any information on the original UK airdate for the 2-part Awakening episode do you? I remember watching that, but from what I've read it aired in the UK after the first season?